Cisco Live US 2014 is upon us! Just wanted to put out a quick post and wish all the attendees, exhibitors, and staff safe travels! I know we all have a busy and exciting week ahead of us! Make sure you stop by the Social Media lounge and say hello and meet some new friends. 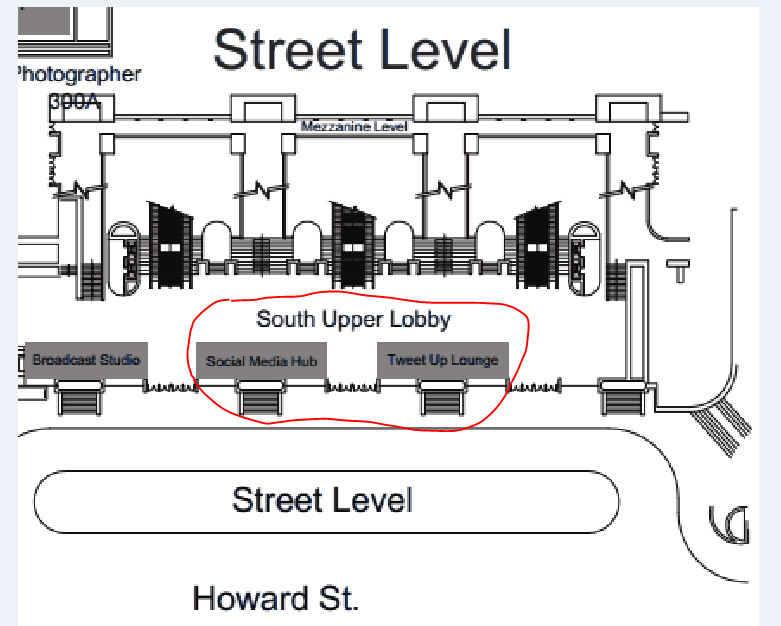 The social media lounge is in Moscone South Upper Lobby as you can see from the image below. Our first tweet-up will be on Sunday, May 18th at 5:30 PM there. Safe travels and hope to meet you soon!